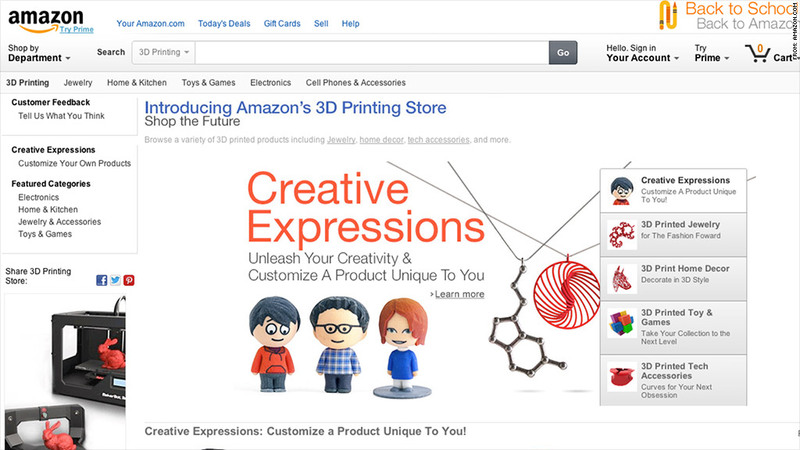 Amazon's new 3D Printing store encourages visitors to "Shop the Future." That's the sci-fi scenario Amazon (AMZN) is inching closer to with the launch this week of its 3-D Printing Store, which offers shoppers over 200 products, including toys, jewelry and home decorations. 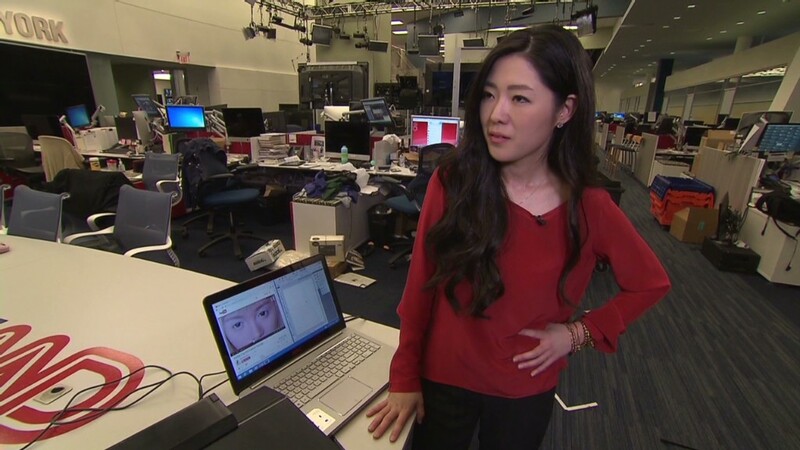 The items are produced via 3-D printer, and can be customized by size, color, material or with personal text and images. A "personalization widget" lets you play around with different designs and preview your purchase before you buy. "The introduction of our 3-D Printed Products store suggests the beginnings of a shift in online retail - that manufacturing can be more nimble to provide an immersive customer experience," Petra Schindler-Carter, Amazon's director for marketplace sales, said in a statement. In launching the store, Amazon signed on 3-D-printing productions firms including Cincinnati-based 3DLT and Brooklyn's Mixee Labs. Mixee co-founder Nancy Liang said the new marketplace "has the potential to become the app store for the physical world." As for the drone delivery, Amazon still has some hurdles to clear. The company announced in December that it hoped to begin delivering packages using drones in four or five years, but it won't be able to do so until federal regulators craft safety rules for unmanned aircraft. "Amazon Prime Air, a new delivery system that will get packages to customers in 30 minutes or less using aerial vehicles, is one invention we are incredibly passionate about," Amazon said in a letter to the Federal Aviation Administration earlier this month. "One day, seeing Amazon Prime Air will be as normal as seeing mail trucks on the road today, resulting in enormous benefits for consumers across the nation."